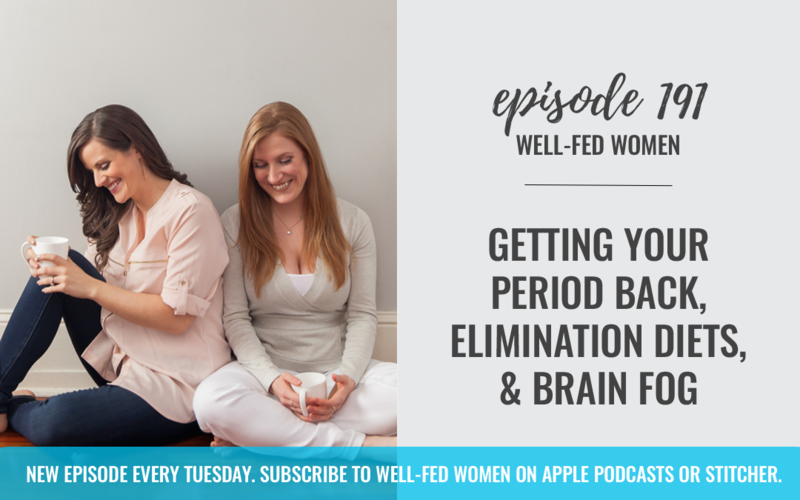 This week, Noelle and I discuss getting your period back, elimination diets, and brain fog. This podcast is supported by Thrive Market! As a special offer to our community, Thrive Market is offering 25% off your first order! To take advantage of this special deal, go to thrivemarket.com/wellfedwomen Keep in mind that Thrive Market’s prices are already 25-50% below retail because they cut out the middleman, so this is an extraordinary deal. As most of you know, all omega-3 supplements are not created equal. There are huge issues in the industry with not only the source of omega-3s, but how they are extracted and the purity of what you’re taking. Omega-3s are very unstable, and the way most supplement companies extract the oils damage the fatty acids, which is not good. Omega-3s are really important for brain health, which is why it’s so important for pregnant woman, it’s important for joint health, for focus and concentration, and of course they are anti-inflammatory. Omax3 is an ultra-pure, and exceptionally concentrated, omega-3 supplement. It is derived from the richest source of omega-3 in the world: premium-quality, wild-caught anchovies and sardines, harvested off the coast of Peru. Omax3 is certified by Friends of the Sea, which ensures their fisheries follow strict, and sustainable marine practices. Omax uses a state-of-the-art process, the omega-3 oils are double-molecular distilled and cold-pressed for exceptional purity, removing impurities and toxins and maintaining the structure and integrity of the fatty acids. Each batch is tested twice for purity and concentration by independent labs. As a special offer for our community OMAX is offering a FREE BOX of OMAX with your first purchase, just go to tryomax.com/wellfed. This is an incredible deal! Please give us some feedback on how OMAX is working for you! 60 day money back guarantee, so you’ve got nothing to lose!